Okay, so for a while on TV medical shows have been the rage…such as House, Grey’s Anatomy, and even back to ER. This summer has two new medical shows squaring off for your viewership. The story of a blacklisted medical professional turned concierge doctor. On this show Mark Feuerstein is practically a Modern-day MacGuyver. He constantly gets out of tough situations using his brain and limited resources. Also, the storylines and drama really sell it. Jada Pinkett Smith playing the Chief Nursing Officer at a Richmond hospital. TNT’s new sensation shows a strong-witted and seasoned nursing veteran on the hospital floor just trying to make it through the days. 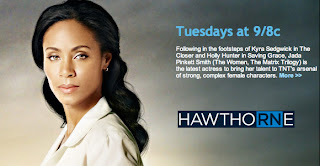 This show promotes the careers of nurses and makes Hawthorne look smarter than the doctors [more often than not]. No question. USA shows are awesome. PS bring back 4400. 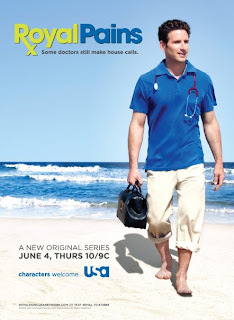 Royal Pains has better characters, more entertaining medical cases, and I enjoy the story arch more. Hawthorne is honestly too much of a know-it-all. It really over does it in certain areas, and the character is just a little too flawless. (Believe it or not). And I also question that since Jada Pinkett Smith is the exec producer, did she just give herself the job as lead actress. Who knows? She does play the part well, and last night was the first night I missed an episode of Hawthorne, but it’s still not Royal Pains. Eat that TNT! QATFYG: What Medical Shows do you like? Do you like Jada? 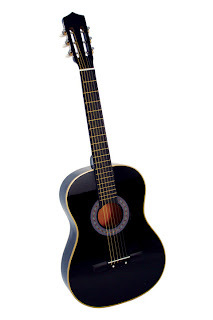 And are you a fan of USA dramas? PPS: Did anyone hear Jada Pinkett Smith's metal band, Wicked Wisdom? I thought they were pretty goofy, and they had like only one good song. http://www.youtube.com/watch?v=FhNQKGq4QZw "Bleed All Over Me."